Mastering the skills to sharpen your kitchen knives is not only important, but essential too. Here, you may argue why is it important to master the skill, especially when you need to sharpen your knives only once in a month or once in a couple of months. Well, the fact about sharpening knives is that if not done properly there are many potential hazards of cuts and wounds. Moreover, you cannot do your kitchen task swiftly, as you would have done with a sharp blade. Here, in this article, you will find some crucial tips, that will allow you sharpen your kitchen knives, in the best possible method. There are several knife sharpening tools available in the market. Irrespective of the tools you are using to sharpen your kitchen knives, make sure you are holding the knife at a proper angle. Holding the knife at 20-degree angle to the surface of the blade as you sharpen it is ideal. Keep the angle consistent, otherwise the job will get difficult for you. Again, while you are sharpening a knife, it is not really good to over-pressure it. Professionals are in favor of saying that it is always ideal to hold the knife lightly and keep a low pressure on it. 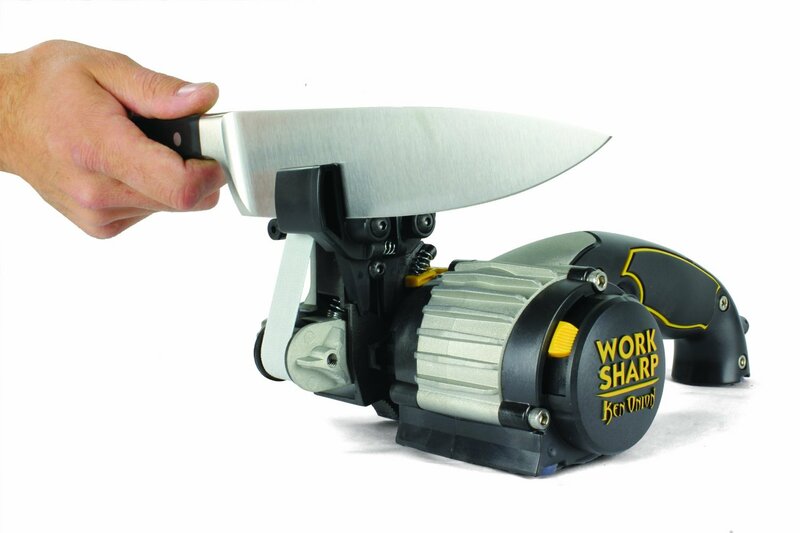 Just hold the knife at a constant angle within a light grip and let the knife sharpener do its job. From kitchen shears to knives, all sharp kitchen tools are usually sharpened using the stone sharpening technique. Choosing the right sharpening stone is important to get the best result. A rough sharpening stone with minimum grit density is best for a dull knife. Depending on your sharpening requirements, the sharpening stone varies. After using your kitchen knife for a prolonged period, when you realize that the knife is getting blunt, think about sharpening it at the earliest. The more you delay, the more time it requires to bring back the knife in shape. Before using a sharpening stone, it is imperative that you know the details of using it. Usually, as you buy the sharpener, some manufacturer’s guide comes along, read the instructions mentioned in it carefully. There are some stones that need oil lubrication, while there are some varieties as well that gets broken down due to the use of oil. Even if oil is used to lubricate the sharpening stone, make sure you do over-oiled it, as that can slow down the knife or shears sharpening process. Once you have sharpened the knives or shears, test the sharpness of the blade by cutting papers. If the knife clearly cuts the paper without tearing the paper anywhere, you can be sure that your knife is sharp enough for your kitchen jobs. Never taste the sharpness of the knives on your skin. Avoid the unnecessary hazards of wounds and cuts. When you use the freshly sharpened knives to cut vegetables and fruits, be little cautious. 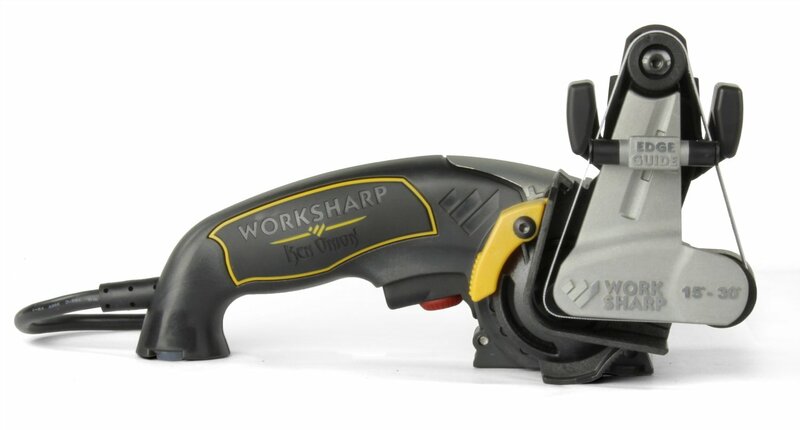 The newly sharpened blades can create a real mess, if you are unmindful while working with it. If you liked this article then please like us on Facebook or follow us Twitter or Googles+.